LG today said it has commenced sales of its flagship G7 ThinQ phone in its home market of South Korea. The G7 ThinQ, announced earlier this month, is a premium metal-and-glass phone with a super bright 6.1-inch screen, Snapdragon 845 processor, AI-assisted dual rear cameras, BoomBox speaker, and Android 8 Oreo. 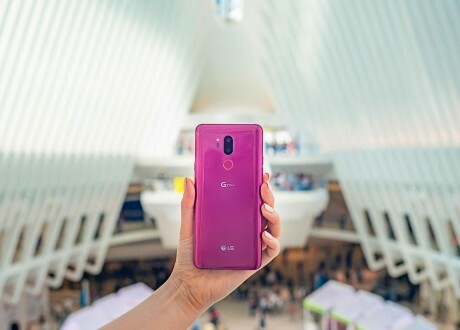 Sprint, T-Mobile, and Verizon Wireless have committed to selling the LG G7 ThinQ beginning later this month. So far, however, U.S. pricing for the phone has been kept a secret. LG says carriers will announce pricing closer to the actual for-sale date. Pre-orders for the G7 ThinQ in the U.S. are expected to begin on or around May 24, with a ship date of June 1. AT&T does not plan to sell LG's new flagship phone, the G7 ThinQ, according to The Verge. Instead, the company plans to offer an exclusive phone from LG later this summer.